Sidhil News: Martin is a running fool!!! Martin is a running fool!!! 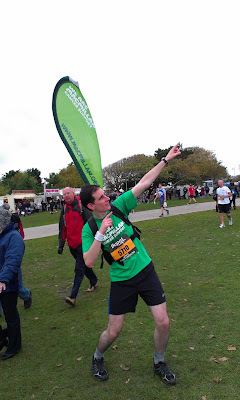 Congratulations to our very own Martin Wallace who took part in the 2012 Great South Run.. He completed the race in a very impressive 1 hour 19 mins (5 mins less than last year!) even with the flag he was carrying on his back in aid of the Macmillan Cancer research charity. He was a lot easier to spot amongst the crowds (If you want to look, you can see him at the 27:20 mark on the following video link: http://www.channel5.com/shows/great-south-run/episodes/great-south-run-2. Watch for the green flash as he runs pass the camera)!! 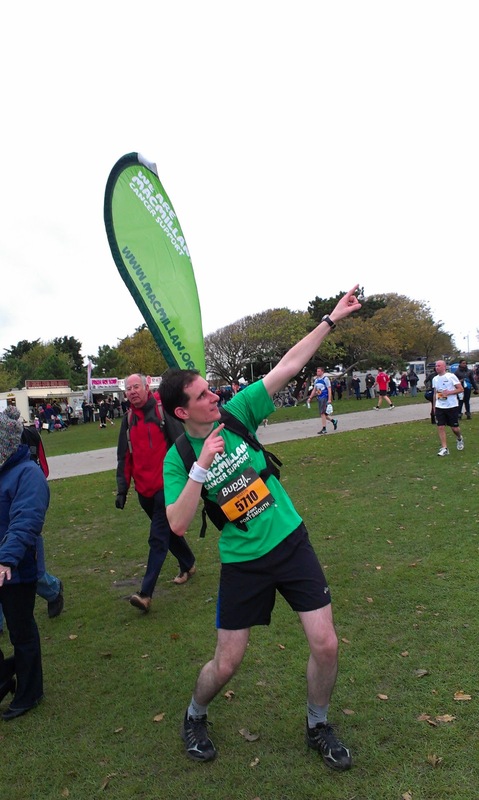 Martin with his Macmillan flag on his back! !